Touch The Jungle can accept online doantions through Paypal by credit card, debit card, electronic check or debit. Please click the button below to make your tax deductible donation to support this important project! When making your donations, if you will select "personal gift" for payment type, Paypal will not take out any fees so that 100% of your donation will go to Touch The Jungle. Individuals or organizations who wish to make tax deductible donations to support Touch The Jungle's efforts in Ecuador may send donations to our sponsoring US 501(c)3 nonprofit organization, Earthways Foundation (tax ID 65-402-1351). 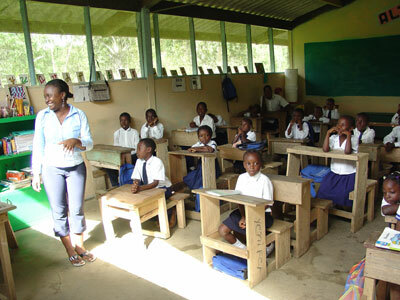 Earthways covers all overhead expenses, so that 100% of donated funds go directly to the project designated by the donor. Please indicate on your check that your contributions are to be used for "Touch The Jungle". If you wish your donation to be used for a specific purpose you can contact TTJ project director Tracy Wilson to discuss what project you want to support and she will make sure your donation is used as you designate. All donors are welcome to visit the project to see that their donation was used as designated. If you would like to discuss what specific needs are for any certain projects, or get more details as to funding needs, please feel free to contact Touch The Jungle project director Tracy Wilson. Fundraisers and Promotions are needed on an ongoing basis to raise money for various aspects of all listed projects. This ranges from funds needed to care and house injured wildlife at the Touch The Jungle Wildlife Rescue Center, school and teacher costs, funding for Sustainable Food Projects in local communities, funding for community reserves & watersheds, conservation education work, and habitat protection. We encourage more groups and individuals to get involved and help support our efforts to protect the Chocò Rainforest. If you or your organization would be interested in doing a fundraiser, please contact Tracy Wilson for more information and promotional materials. 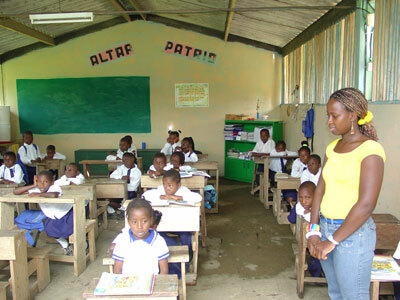 Playa de Oro community elementary school which Touch The Jungle has been supporting since 2000.